Stainless wall mounted shelves are a great way to efficiently use your storage space. Though walls are often overlooked when it comes to storage, they offer valuable extra space to free up your floor area. 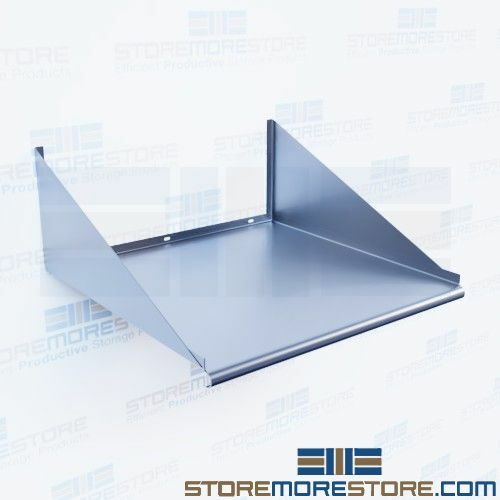 With its stainless steel construction, the wall mounted shelves are especially useful in labs, kitchens, cleanrooms, hospitals, and other areas that require sanitization and rust or chemical resistance. Stainless steel materials are commonly found in these applications due to their durability and ease of cleanliness. A bullnose front edge also adds strength to the shelves and makes them easier to clean. As opposed to straight edges, bullnose edges are rounded. This provides a smoother, cleaner appearance. Additionally, these rounded edges are safer than sharp edges and prevent cuts and scrapes. Bullnose edges also tend to last longer than straight edges since there are no corners that crack over time. 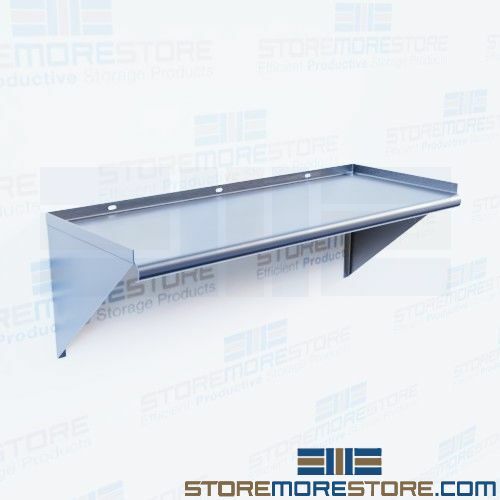 Stainless wall mounted shelves are available to buy online and ship within 10-15 business days. Free dock-to-dock shipping included. If you need any assistance or just want some help picking the right solution for you, please call us at 1-855-786-7667.